PappaRich has hit Auckland! A highly raved about Malaysian family eatery almost reminiscent of Denny’s. 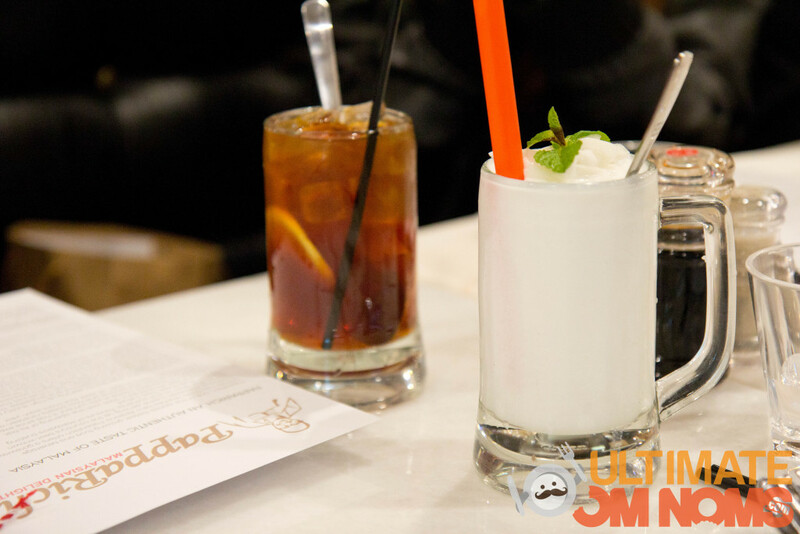 A few days ago at a blogger’s lunch, I was lucky to sample most of the menu. Ordering is easy. The menu is massive because every dish has an accompanying photo. Even kids can point and order exactly what they feel like. You fill the order yourself and push a button to get the attention of the wait staff. Excellent. As a fast paced almost ADHD person, there’s no need for me to jiggle my leg while I try to flag down someone. There is a HUGE list of drinks. Knowing that I would pig out soon, I opted out from my normal milk based favourites and ordered the Coconut Paradise. Icy and refreshing, it was topped with real coconut flesh! 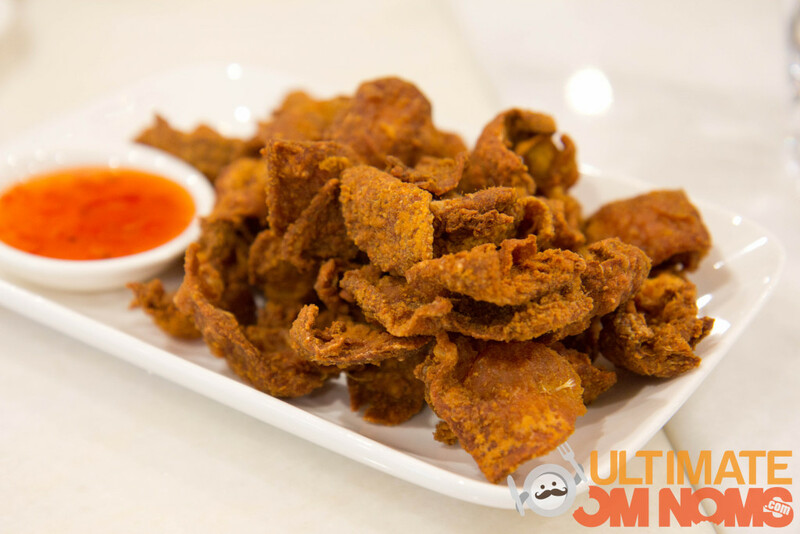 We started off with fried chicken skin. Holy crap. On other days I would have steered right away from this heart attack, but I’m so glad the foodie in me won. We all know chicken skin is the best part of KFC chicken and it always irks me when people tear it right off. These were super addictive – crunchy and not greasy at all. The fat under the skin must have melted right off. Follow my mantra: Gym furiously, eat furiously. 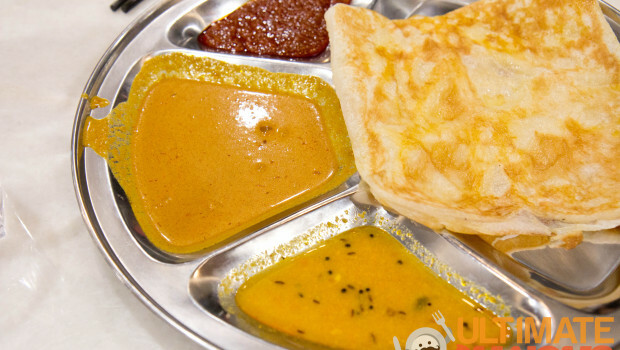 One of the highlights is their roti canai. There’s a wide variety you can order. Ones filled with egg and onion as featured above (roti teur bawang) and sugar dusted ones (roti planta). 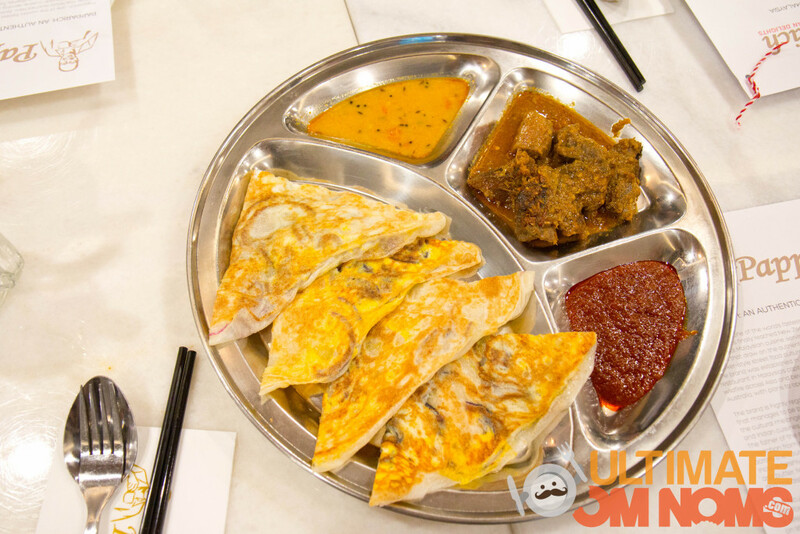 My favourite was the roti canai with beef rendang. I put the swirl of roti to good use to mop up the sauce and beef that fell apart beautifully. Heaven. If I ate here alone I would order the Hainan Chicken. The ingredients were fresh and the rice wasn’t too oily. Thumbs up! Flavours were a bit of a hit or miss. After trying their laksa and noodles with sweet sauce (above), other fried rice and noodle dishes were a little bland in comparison. 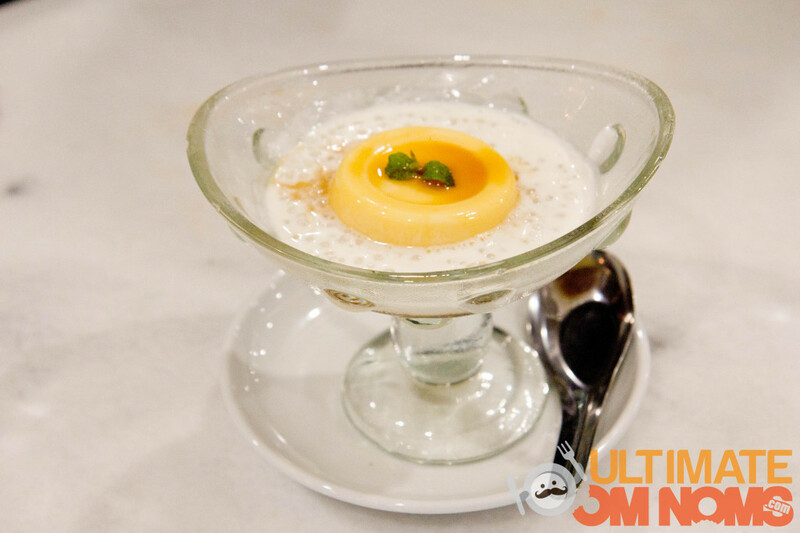 One dessert I’d advise you to keep to yourself is their egg sago pudding. All my favourites in a coconut base. 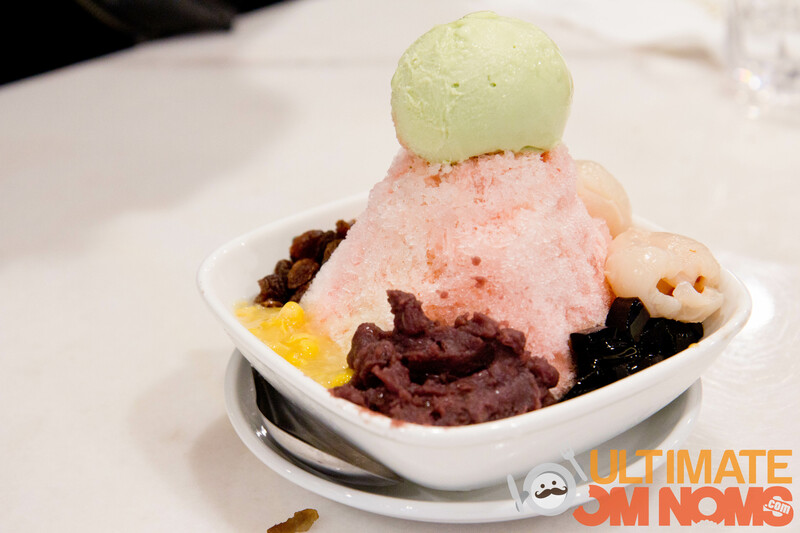 The shaved ice came impressively surrounded by all kinds of toppings including grass jelly, red bean paste, lychee and sweet corn. I had been warned that sweet corn with shaved ice would be an acquired taste. Personally it didn’t bother me, I had taste tested too many of my own quirky combinations in my kitchen. PappaRich is in an ideal location under Skycity Cinemas as part of the Skycity Metro complex. Ideal for a quick bite in town before a movie or any other event, it’s affordable and tasty. I wouldn’t hesitate to go back again.